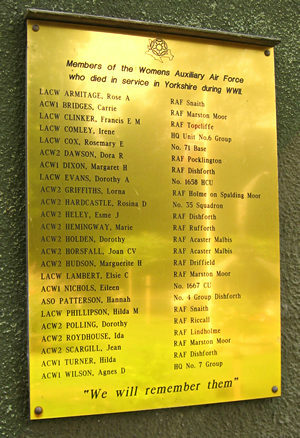 ACW2 Marguerite H Hudson was killed in the air raid on Driffield on 15 August 1940. She was 19 years old, and the first WAAF to be killed in the war. ACW2 Jean Scargill was working as a driver and was killed when her truck was hit by a Halifax bomber at Marston Moor, on 8 July 1943. She was 20 years old. LACW Nellie Griffiths, aged 35, was killed in the crash of Albermarle V1762 near Sherburn in Elmet on 21 Oct 1944. Thanks to Rich Allenby for the additional information. 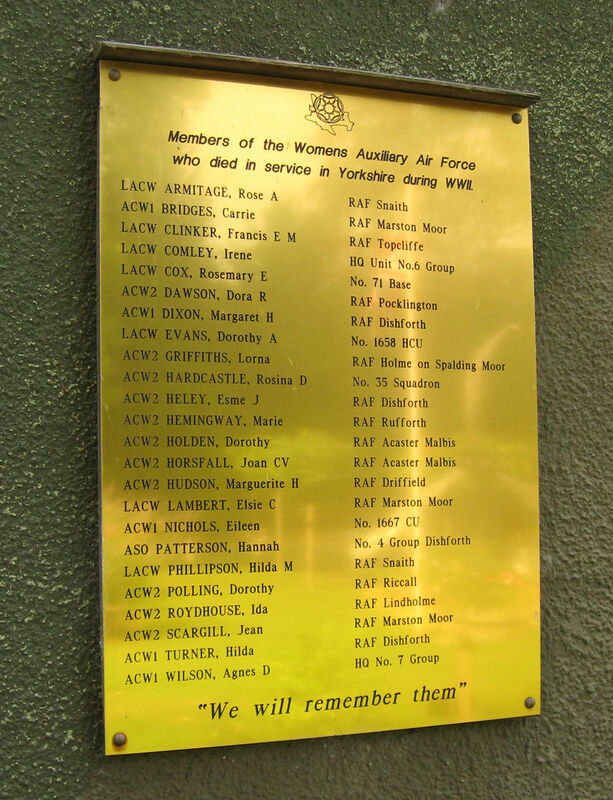 Catherine Horne served with the WAAF from 1942 to 1946. Her memories are worth reading in full via the link below, as are the many memories recorded in this BBC archive. But the following lines need quoting, in particular. I was posted to the Sergeants Mess [I had opted to be a cook] at a place called Marston Moor. I wasn’t there long when the first 1000 bomber raid took place. I can remember being recalled to help cook the meals for the returning air crew. This was the first time I saw men cry.